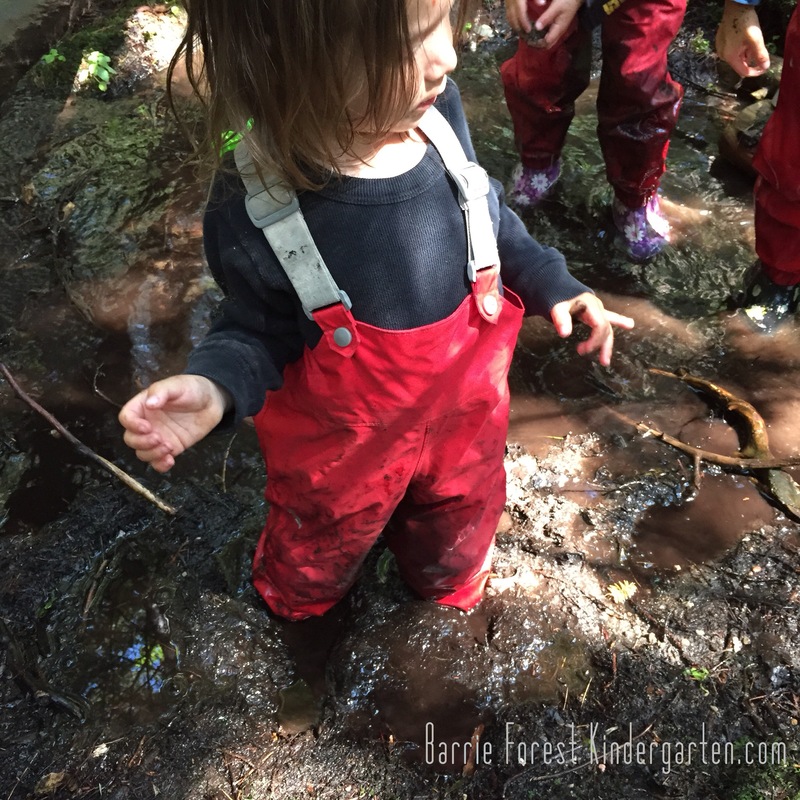 July 26, 2015 childongroundLeave a Comment on Explorations! 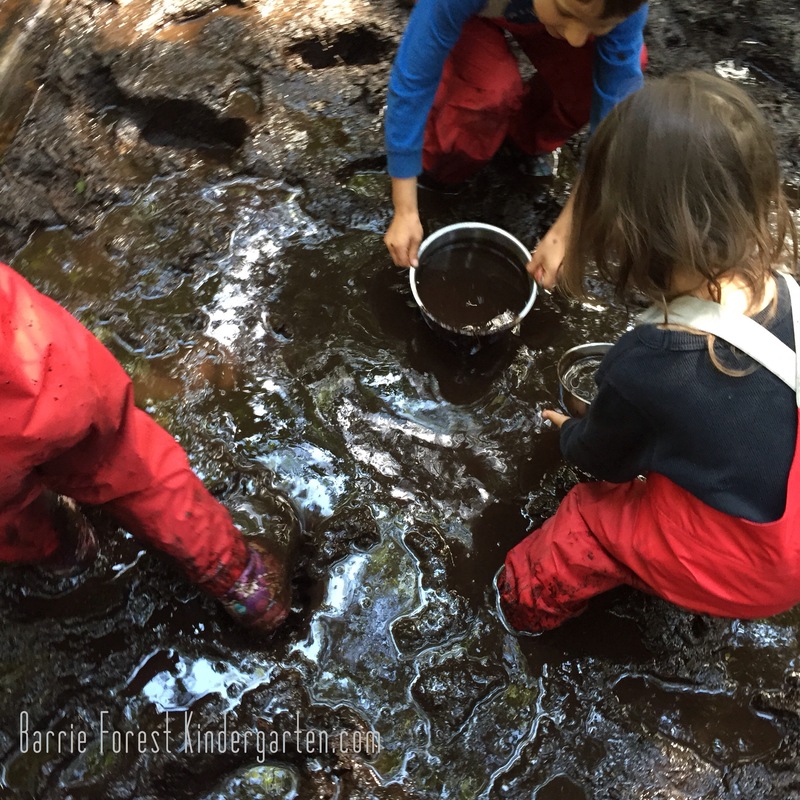 This last week at Barrie Forest Kindergarten…..
Exploration was definitely the theme of the week. 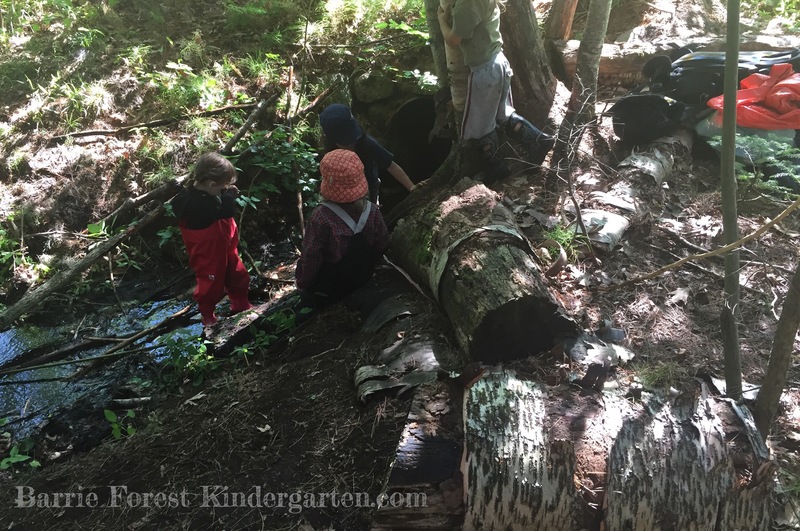 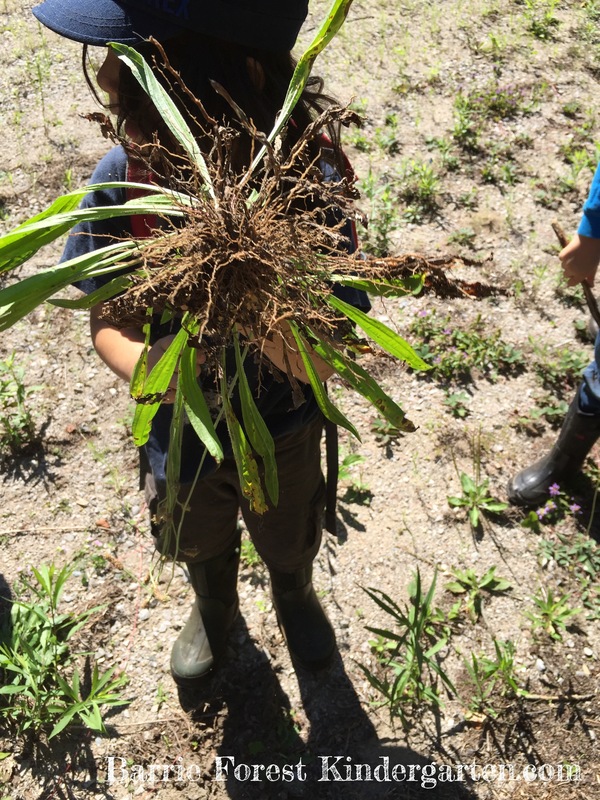 Exploring the creek, exploring parts of plants, exploring new areas of our camp with climbing and wading and finding good “fishing” spots. 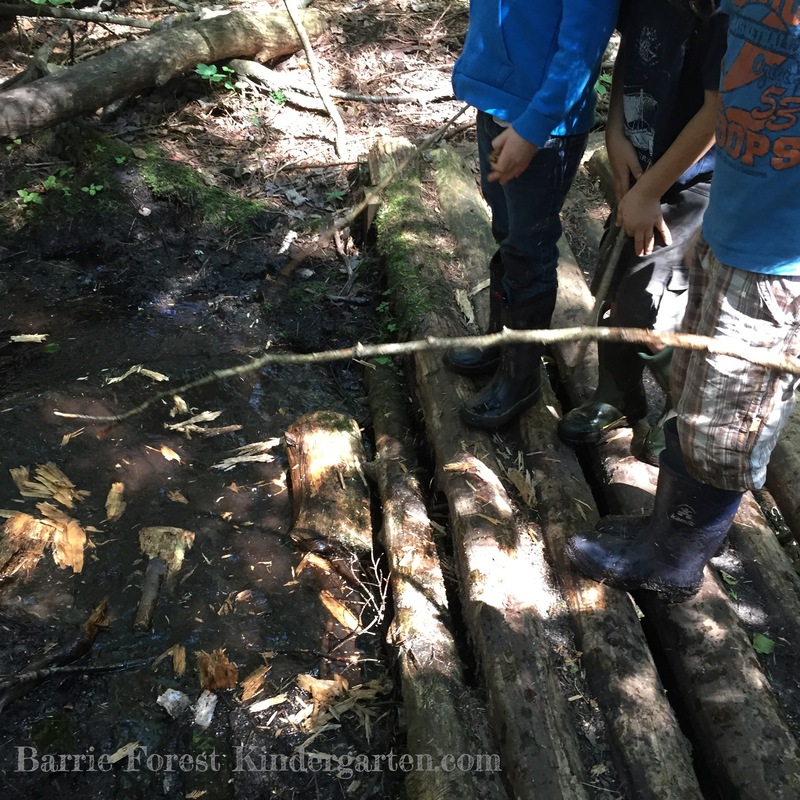 And don’t forget exploring for dragons!! 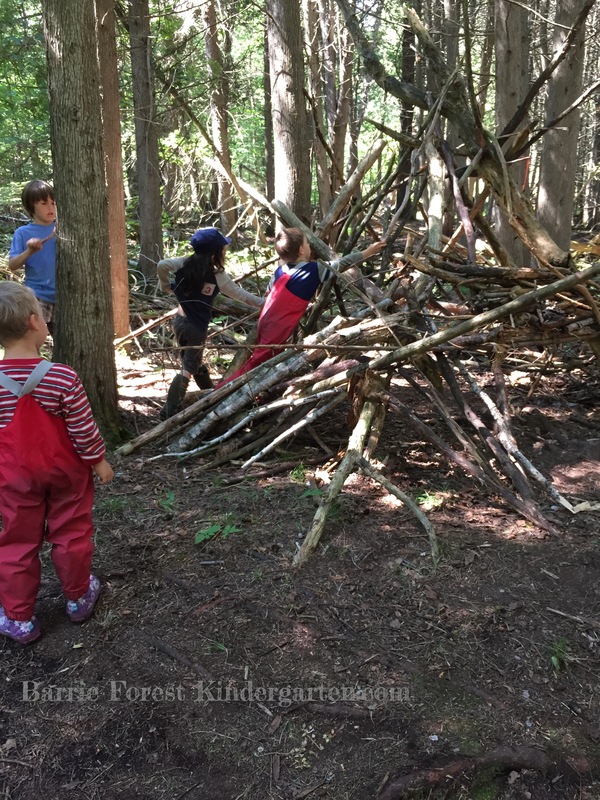 We met 92 goals of the Ontario Kindergarten Curriculum and all 15 areas of play. 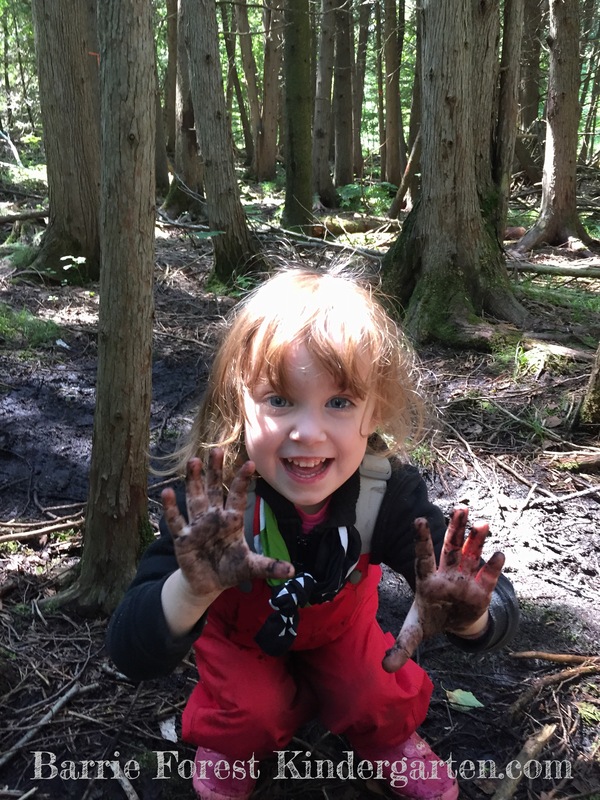 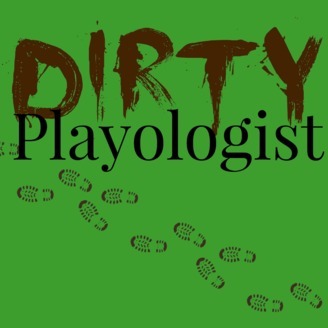 July 12, 2015 July 12, 2015 childongroundLeave a Comment on Summer Play! 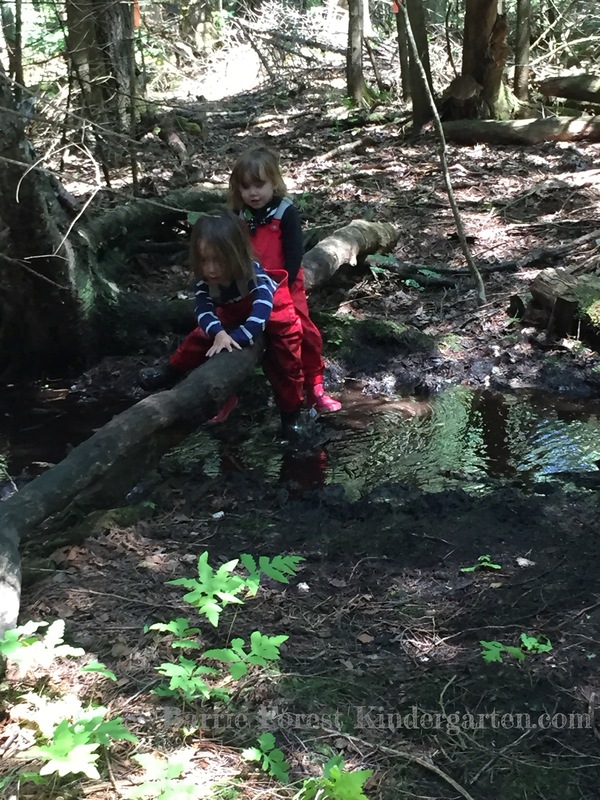 A week of exploring and play. 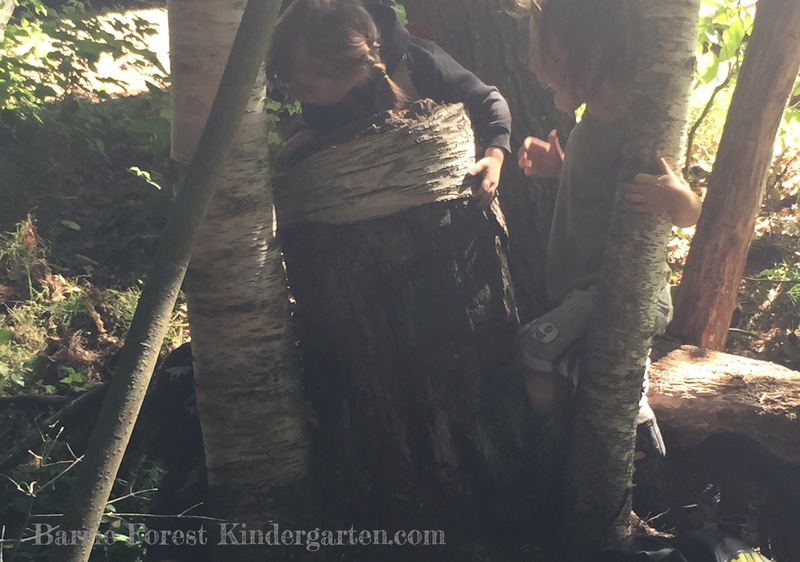 The kids met all 15 levels of play (Parten, Smilanskyand Smith & Pellegrini) and 89 kindergarten goals while they were at it! 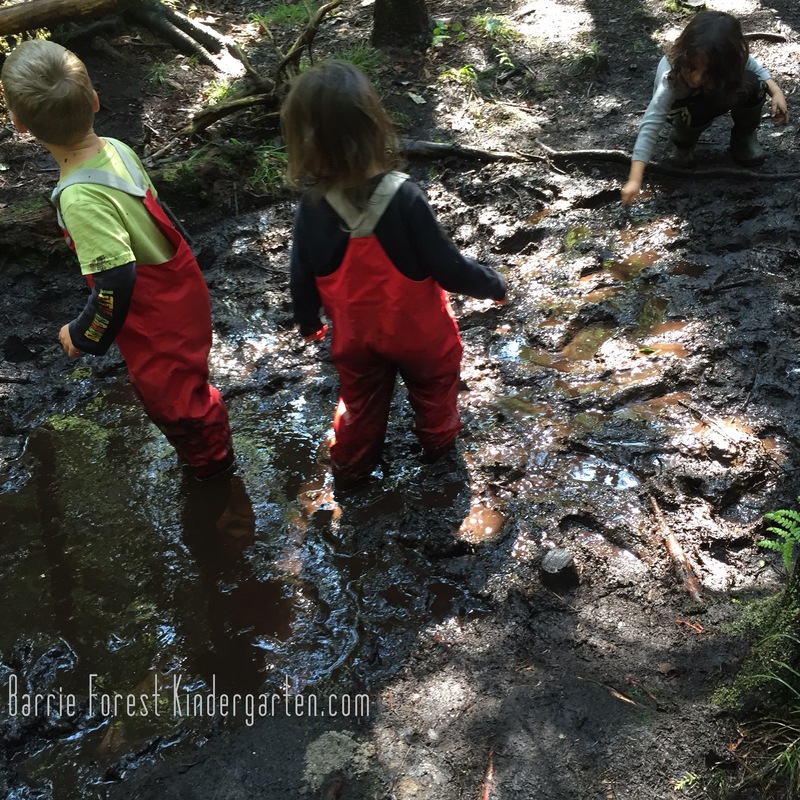 This last week at Forest Kindergarten we celebrated International Mud Day having fun in the mud. 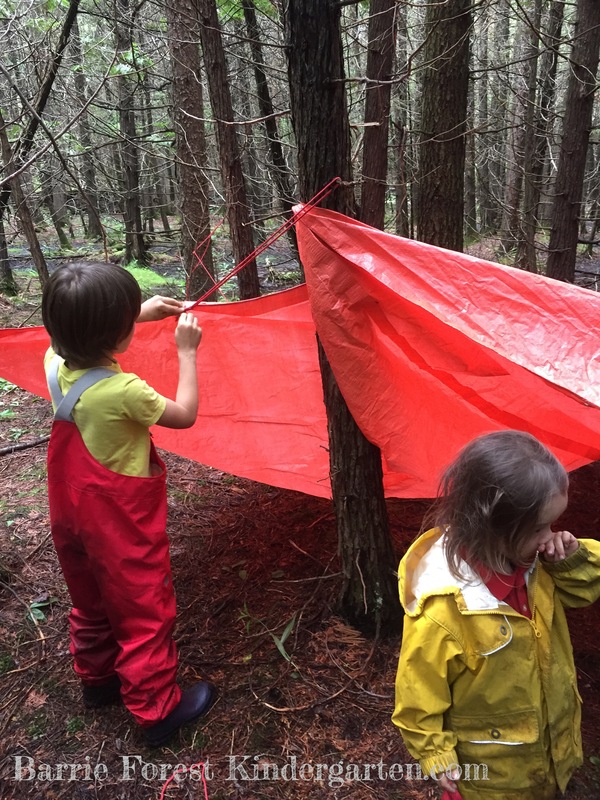 Relaxed about in the trees after a good climb and Friday we built up our den, played quietly in the water and spied a turtle. 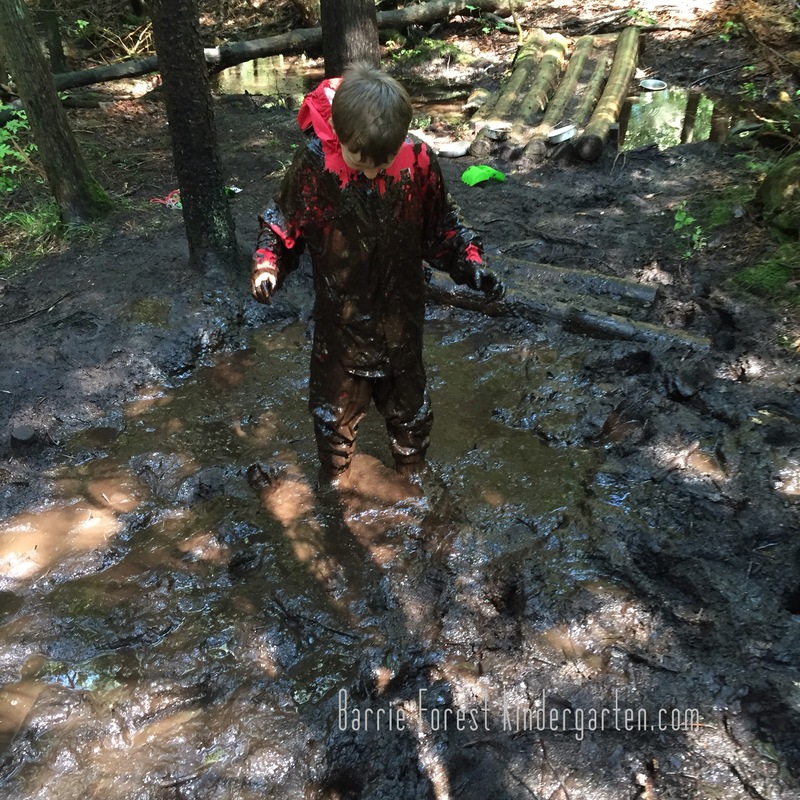 We covered 97 Kindergarten goals and 12 levels of play.